Chamber Size - determines how long you can vape before you need to refill your chamber. Battery - all models differ in how long their batteries can power the herbal vaporizers before they need to be recharged. Most of the herbal vapes come with cords for recharging via USB and very few have DC adapters for charging in the car or by a wall plug. Size - how large, will affect how easy it is to carry and how compact it is. Normally, larger vaporizers for herbs will have bigger chambers and longer-lasting batteries than the smaller models. Warranty - normally, better herb vaporizers will come with longer warranties. Comparing how long each brand warranties the unit for will allow you to judge quality and longevity of performance. Color and Style - last but not least, you can find herbal vape pens in many different colors, so you can pick one that matches your sense of style. In addition to thinking about the style of a dry herb vaporizer, as described above you'll also want to decide which heating method is right for you, as mentioned before vapes can work via conduction or convection. Conduction dry herb vaporizers like the original Herbal G Pen and the G Pro feature direct heating, meaning that your material touches the heating element, so it begins to vaporize fast. The drawbacks of a conduction vaporizer for dry herbs are that in some cases, combustion can occur due to the direct heat and your material may not fully vaporize. Convection dry herb vaporizers like the Pax 3 and Firefly 2 get your material hot by passing hot air through it rather than by heating it directly. The benefits of a convection dry herb vaporizer are that they decrease combustion risk, provide a steadier stream of vapor and work more efficiently to fully vaporize materials. You can expect a longer wait for vapor production to begin if you choose a convection model. Many customers prefer to start off by focusing on the dry herb vape pens that will best fit their budgets, others look for more advanced choices or a specific brand which makes one of the best herbal vaporizers. Regardless of your criteria, we do have a very wide selection of herbal vaporizers tailored to satisfy all customers. Take a look below at our handpicked selection to make a choice that will work best for you and let us know if you have any questions. Atmos Vicod 5G – This dry herb vape utilizes a conduction heating system with a ceramic herbal chamber producing clean vapor. It’s low in price and is considered to be one of the best portable herb vaporizers of its kind. Compact and complete with a 5-year warranty, it features completely customizable heat settings. Atmos Jump - has a solid build with a carbon fiber exterior that is sturdy and easy to carry. The herb chamber produces robust vapor with every draw. The Jump vaporizer for dry herbs has no risk of combustion and heats up to temperature in only 7 seconds, faster than most other convection vapes - its downside is that it only has one temperature setting. It can last up to 6 vape sessions on a single charge and only needs 2 to 3 hours to recharge. The Jump herb vaporizer features a 5-year warranty. Boundless CFV and CFC - after releasing two prior models, Boundless has improved and introduced the CFV - a convection herbal vaporizer! This herbal vaporizer uses interchangeable heat retention rings that let you customize each session with an array of flavors and potency. Boundless CFV vape features a complete temperature spectrum, a display, and an isolated air path. The Boundless CFC is a step up from their CF herb vaporizer, except it is less expensive and smaller. This dry herb vaporizer comes with a single 18650 battery and a complete temperature spectrum, able to reach its necessary heat point in 20-30 seconds. 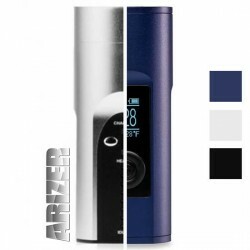 The Crafty - made by the same company that makes the Volcano, the Crafty is a true convection dry herb vaporizer and is one of the smallest that Storz & Bickel produces. It is one of highest performing herb vaporizers on the market and comes with both an Android and an iOS app that let you control the unit remotely. G Pen Elite - features a digital temperature display to choose your desired level of heat. Competitively priced, with excellent vapor quality that you might expect from a higher priced model. This herbal vaporizer has an ergonomic shape that is easy to carry and use while out and about. DaVinci Ascent - named after the famous inventor and painter, the DaVinci Ascent can still be considered a masterpiece in dry flower vaporizer design. While there are more innovative products on the market, this dry herb vape still deserves a place on the list of best buys. The Ascent dry flower vape uses conduction to heat up your herbs, and its glass pathway keeps the vapor tasting pure and flavorful. It comes with a long battery life, making it perfect for on the go. It does get hot after a few hits so short vape sessions are recommended. Flowermate - around the size and shape of a smartphone, the Flowermate V5.0S Pro herbal vaporizer has a digital display with three temperature setting options. Though the dry herb vape is efficient and works excellently, the herbal vapor gets hotter as the session wears on. That said, it still sells for much less than other vaporizers for dry herbs and is worth the money. G Pro - this dry herb vape from Grenco Science comes with anything you could need in a starter kit, costs around $90 dollars and offers a wide array of dry herb vaporizer options. Pax 2 and 3 - an improvement on the original Pax, the Pax 2 uses a conduction heating system to prevent combustion. It uses lip-sensing technology to engage the battery and keeps the vapor consistent throughout use. The Pax 3 offers a larger battery, a drop from 45 seconds to a 15 second heating time, fully adjustable temperature control, and 3 separate ovens so that it doubles as a vaporizer for wax and oils. Pax 3 dry herb vaporizer is stealthy and has a similar weight to Pax 2. It also comes with a smartphone app. Magic Flight Launch Box - is a true vaporizer, which consistently gets rave reviews from vape enthusiasts because of its simplicity. This is a unique herbal vaporizer in that it's made out of wood, affordably priced compared to other dry herb vaporizers and heats up in just 5 to 10 seconds, which is less prep time than what's common with other portable vapes. Lifetime warranty and hand craftsmanship make the unit excellent quality for the price. Please take some time to find a dry herb vaporizer that fits your budget and preferences. Below is a guide to help you find your ideal price range. By taking into consideration style and heating methods, you can find a vaporizer for dry herb that will work well for you and allow you to vape in style. If you'd like help selecting the perfect herbal vapor pen or portable, we would be glad to help you weigh your options and pick the best dry herb vaporizer. With a $50 budget, you may have to go with a standard conduction dry herb vaporizer with a shorter warranty than some other devices. There’s an affordable convection herbal vaporizer called the Atmos Jump featuring a quality 5-year warranty. If you can spend an extra $50 dollars, you will have even more options including convection vaping to save more money in the long run on your dry herb materials, even if you have to spend a little more upfront. This range includes many more options of herb vaporizers to choose from. 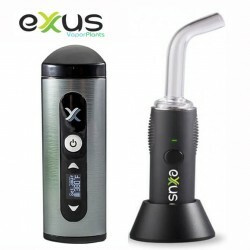 You can buy some of the better conduction herbal vaporizers out there along with some top-tier convection vaporizers for herbs. Models to consider include the Vicod 5G, Atmos Boss, DaVinci Original, Kind Pen Status, the Flowermate, and the G Pen Elite, which all use convection technology. With this price range, you can essentially get any type of dry herb vaporizer you'd like, including high-end vapes like the DaVinci Ascent, DaVinci IQ, Pax 2, Pax 3, KandyPens, Miva, and Haze V3. Each of these will give you incredible control options and provide you with the ultimate quality when it comes to vapor. For instance, the DaVinci IQ retails for $275, or you could get the Silver Surfer, one of the first-ever convection desktop dry herb vaporizers that still earns top marks to this day, for $270. If you have at least $300 to spend, you can purchase the Volcano, one of the most highly regarded desktop herbal vaporizers out there. The Classic Volcano dry herb vaporizer goes for $380 while the newer Digital Volcano retails for $500. At this point, if you're going to spend this much on a luxury herbal vaporizer, you might as well go for gold. Portable dry herb vaporizers that are great in this price range include The Firefly 2, retailing at $330. Q: Does an herb vaporizer produce an aroma when in use? A: While not as strong as the smell of burning material, there is a light scent when using an herbal vaporizer. Q: Do I need to grind my herbs before vaping? A: Yes. If you want to make the most out of your dry herb vape, grinding herbs finely is the key. This will expose more surface area to the heat at once to produce cleaner, easier to draw vapor. Q: What's the best temperature to vape herbs at? A: While it is debatable, many say that using a temperature between 325 and 350 degrees Fahrenheit is best for public vaping as it will produce less vapor. If you have issues with that temperature range, it’s recommended that you keep the temperature around 375 to 400 degrees Fahrenheit. Many herbal vaporizers will allow you to choose the best temperature for you, varying typically between 335 and 420 degrees Fahrenheit. Q: When will I know I am done vaping? A: Your herbs will turn a light brown, but if you choose, you can vape longer by stirring them inside the chamber. Q: What is temperature control? A: Temperature control allows you to choose how hot your dry herb vape pen gets to control the density and flavor of your herbs. Q: What are the steps to loading a dry herb vaporizer? Start by preparing your herbs with an herbal grinder. For most vape chambers, you want to grind your material as finely as possible. This increases the surface area and allows the materials to vaporize more evenly. Make sure your material is dry by setting it out on a paper towel for as little as an hour to as long as overnight. Some people like to grind again after this step just to make sure it's as fine as it can get. Check the instruction manual that came with your dry herb vape. Some herbs should be packed all the way to the top. Others should be packed two-thirds or three-quarters of the way full. In most cases, you do not want to pack too tightly. This ensures that air can circulate through the material and the vapor can reach the mouthpiece. Follow the instructions and pack your vape accordingly - always use a gentle touch. Even the best portable dry herb vaporizers can be damaged if you're too aggressive when you're adding material. If you end up spilling any herbs, sweep them into the chamber or back into your herb container. Put the mouthpiece on and get ready to vape. Dry Herb Vaporizers heat your herbs to a temperature that stays below the combustion point. The vaporization point falls between 200 and 392 degrees Fahrenheit. At these temps, the compounds in loose leaf are activated and turned into vapor. This makes the true herbal vaporizer produce a smokeless gas that you can inhale that does not contain any carcinogens or bad compounds like smoke does. They can be used for dry herbs or concentrates alike. Dry your herbs. You can dry them in a jar, by wrapping them in a paper bag, or by putting your herbs in a container of rice. Grind the herbs finely. This delivers more surface area, thereby giving the dry herb vaporizer a chance to heat and vaporize your material thoroughly for best results. Pack tightly, but not too tightly. You want to give your dry herb vaporizer a little room to breathe, but you don't want to block the airflow. Inhale slowly. To maximize vapor and give your heating element more time to produce it, you want to take slow, long pulls. Some people call this sipping, and it will deliver better clouds than trying to rapidly rip (inhaling quickly) on each hit. Use a screen. Glass or mesh, it doesn't matter, but you need to use something to protect your material from the heating element. This is less of a concern with convection herbal vaporizers. All you have to do is open the grinder to your herbal vaporizer, insert the herbs, and close the top. If it’s a 3 or 4 piece grinder, the finely ground herb will rest in a chamber that you just have to open up and empty out the material. There are also grinders with a sticky crystal catch made up of 3 or 4 parts. It’s recommended that you grind upside down for a finer grind as this keeps the herb in the grinding chamber for as long as possible. Aside from finely grinding before using your dry herb vape, make sure you are properly hydrated. Vapor is easier to absorb by the body when it is full of water, so drink a glass of water before using your dry herb vaporizer. Breathing matters, too. When you inhale the vapor from your dry herb vaporizer, you should hold it in your lungs for around 3-5 seconds to absorb every compound it contains. It has been said that 330-370 degrees Fahrenheit is perhaps the best temperature for vaping if you want to preserve flavorful terpenes and promote smooth vapor production. When the temperature is too high, the vapor is harsh and releases all of the compounds at once. Plus, if the temperature is too high, such as anything over 390 degrees Fahrenheit, you run the risk of combustion. Overall, using a true dry herb vaporizer is a healthier alternative to smoking. You don't get the tar and other nasty compounds when you vaporize like you do with combustion. You also don't get that shortness of breath or lightheadedness, and it can be done just about anywhere. This doesn't even take into account that if you actually want to taste your bud, vaping is the way to go. Combustion just burns off all of those delicate terpenes. Give it a shot. You may be surprised by what you’ve been missing. Learn more by checking out our how to vaporize herbs correctly page. There are many types of vaporizers for herb use on the market today, and many beginners find it hard to determine which type is right for them, but it can be easy to choose when you consider your needs and understand the differences between the main types of dry herb vaporizers. As you probably already know, dry herb vaporizers come in a variety of shapes and sizes from large desktop models that fill balloons with vapor, to compact herbal vape pens that can fit in your pocket. Heat is needed for any herbal vaporizer to increase the temperature of vaping materials to the point where they release their natural compounds in the form of vapor. The heating element produces the heat necessary to make vapor. While every vape has a heating element, there are many differences between the heating elements used in herbal vaporizers today. Continue reading to discover what the basic types of heating elements are and why a dry herb vaporizer may be a good choice for you. Vaporizer for dry herb designs have come a long way over the years! As more people are giving up traditional smoking in favor of using herbal vaporizers, manufacturers are responding by introducing new styles to appeal to a broader range of people. That means that now you have a wider variety of herbal vapes to choose from than ever before, but this fact can also make it hard to determine which herb vaporizer to buy. By considering both the form and function of dry vape pens and other vaporizers for herbal use, you can always find the model that's ideal for you. A dry herb vaporizer pen is a long, slim pen-like device. This type of dry vape pen heats up herbal materials using power supplied by a battery and offers convenience because it can fit into your pocket and doesn't require a cord for operation. The herbs get hot inside of a heating chamber and release vapor that you draw through a mouthpiece at the top of the vape pen for dry herbs. Plus, many models look very much like e-Cigarettes. A portable herbal vaporizer or smaller pen-like models are battery-powered handheld devices that can be used for vaporizing dry herbs, if intended to do so. People who want to be able to vape dry herbs on the go will benefit the most from portable and herbal vaporizer pens. Most of the smaller models with batteries can be used on the go without requiring electricity. The best dry herb vape pens tend to be a little larger, but they hold more material and often have longer battery lives. The best portable dry herb vaporizers cost more money, typically starting at around $100 to $125, with deluxe models selling for around $250, and very high tech models costing upwards of $300. Dry herb vaporizer pens are much less expensive, selling for somewhere between $75 and $150. Portable herbal vaporizers that are well made can produce potent, nicely flavored vapor. Less expensive economy models may be less efficient. Many cheap dry herb vaporizer pen models pose a risk for combustion, meaning that they could burn your material. As a result, these types of herbal vaporizers are not as ideal for those who want a pure vapor experience, but they are great for people who want a compact and cheap herbal vaporizer pen model to take anywhere. Why You Should Use Dry Herb Vaporizers? Switching to one of the true herbal vaporizers listed above will let you enjoy vapor that is much purer and less irritating compared to smoke. Plus, dry herb vaporizers give off very little odor when in use, so your clothes, hair, and skin won't smell after you've used your new herb vaporizer. If you've never used vaporizers for dry herbs before, you're in for a pleasant surprise, because when using an herbal vaporizer, you should get a much better taste in vapor form than with smoke. Many people who switch to herbal vaporizers say they enjoy the experience more due to the improvements in flavor. Most of the vaporizers for dry herbs on the market today will allow you to experience greater effects with fewer draws, which means that not only can you get faster results, but you'll also use less material with each session. You don't have to invest a fortune to try using a dry herb vaporizer pen either. Herbal vape pens are available for rather low prices, so you can just order one from us today and see if you like it! Lack of combustion - true herb vaporizers generate vapor instead of burning herbs and producing smoke. Improved - because there is no smoke, vaping is believed to eliminate about 95% of the toxins compared to regular smoke, so most of the beneficial compounds will be absorbed. Conservation of materials - when lighting your herbs on fire, you burn away most of the material right away. Herbal vaporizers will only heat the surface of the herbs, which makes your material last longer. One of the benefits of using a dry herb vaporizer over traditional smoking methods is that you’ll get more beneficial compounds. While smoking is believed to release around 50-80% of the plant's active ingredients, using an herbal vaporizer with the same herbs is believed to release 90% of the main ingredients. This will allow you to conserve your material and save money in the long run. It's also important to keep in mind that smoke is much thicker than vapor, so when using a dry herb vape pen you will not experience such dense clouds. While it is not as visible and may feel different to draw due to its thinness, using an herbal vaporizer is believed to be as potent as smoking, if not more. It's important to take it slow when you are getting used to vaping your dry herbs because it is very different from smoking. When buying any vaporizer for dry herbs, you want to have the best possible vaping experience. Choosing one of the higher end vaporizers for sale can help you to get good quality vapor, but even the best herb vaporizers or cheap vape pens can be disappointing if you don't follow some basic usage tips. Following the advice outlined below will help you improve the performance of your dry herb vape pen whether you've invested in a high end, best herbal vaporizer or opted for an economy model. Grind Your Herbs - nearly all models vaporizers for dry herb described above work best when they're loaded with finely ground herbs. Grinding your herbs in a plastic, wood, or metal grinder gives you many smaller pieces rather than just a few large ones. The increase in surface area means that the herbs can vaporize more quickly and evenly. You'll have much less risk of waste when you take the time to grind! Use Dry Herbs - if you're using a dry herb vaporizer, moisture is your enemy. When herbs are moist, the water inside becomes steam that mixes into the vapor, making it less flavorful and much harsher. For this reason, the drier your herbs are, the tastier your vapor will be. To dry out herbs, empty them from your grinder onto a piece of ordinary paper and let it rest for about 10 minutes. The paper will absorb any unnecessary excess moisture. Try a Second Grind - if you're having problems with poor performance from a dry herb vaporizer despite grinding and drying your herbs, you can purchase an ultra-fine herbal grinder and grind your herbs after drying one final time. This isn't necessary with all vaporizers for dry herbs, but it can lead to better results with some vapes, like the G Pen Elite by Grenco Science or K-Vape by KandyPens. Maintain your Vape - follow the manufacturer's instructions regarding how often to clean your herbal vaporizer, and what method and products to use to get the job done right. Be sure to replace parts according to the recommended schedule. A well maintained dry vape pen won't just perform better in the short term; it will also last longer. Vaporizers for dry herbs come in all shapes and sizes and in a number of different heating styles. The perfect one for you can be found above by browsing the available options with the qualities you need in mind. Whether conduction or convection, it really just depends on what you need from your dry herb vaporizer, so consider your options and your budget before making your decision. If you'd like a little help choosing the best vaporizer for dry herbs or a dry herb vape pen, you can count on the team here at VaporPlants.com to assist you. One of our experts will be glad to help you compare the models of herbal vaporizers and vape pens available and select the best herbal vaporizer for your needs. We're also here to answer your questions about how to use and maintain any vaporizer pen, so please visit our contact us link below, and don't hesitate to send us an email with any questions you might have. Combustion - Technically, a combustion herbal vaporizer isn't a vaporizer for dry herbs at all. Combustion is the process of burning something, which gives off smoke rather than vapor. Smoke has much higher levels of impurities and toxins and less of the active compounds found in vaping materials than pure vapor. Some people call herbal vaporizers that are heated by the flame from a lighter combustion herbal vaporizers, but technically these vapes are using a conduction heating method, which is discussed below. Conduction - with a conduction herbal vaporizer, the heating element is in direct contact with your herbs. The herbal vaporizer produces vapor very quickly due to the close proximity of your material to the heat. Most of the dry herb vape models use conduction heating, so you'll find a bigger selection available in any store if you choose the conduction method. Plus, most dry herb vaporizers using conduction heating chambers are more economical, meaning cheaper. In these types of cheap dry herb vaporizers, the herbs are either fed directly to the heating element or separated by nothing but a small metal, glass, or ceramic screen. This allows the heat from the element to be transferred right to the vaping material for very fast heat up and rapid vapor production. Convection - with a convection dry herb vaporizer, the heating element does not touch your material. Instead, the air gets hot inside of the chamber and warms the material, so if you want to ensure efficiency and a steady stream of vapor, a convection style vape pen for dry herbs is likely better for your needs. A convection dry herb vaporizer heats up materials by passing warm air through them. In these types of herbal vaporizers, the vaping material is separated from the heating element. When the element warms up, it heats the air inside of the vaporizer herbal heating chamber, and then the air heats up the material in turn. This means that with a convection dry herb vaporizer, vapor production begins less quickly, but it allows for more thorough, more even vaporization to reduce waste and ensure a steadier stream of vapor. Ceramic - heating elements of ceramic are made out of a type of pottery that conducts heat very well. Ceramic elements are very popular because they do not alter the taste or purity of vaping materials. Glass - heating elements of glass also provide a pure vaping experience like a ceramic part; however, they are more delicate. The upside to glass elements in dry herb vapes is that they can get much hotter than other materials. Aluminum or Steel - heating elements keep vaporizers light and are economical. They are not as heat-resistant as ceramic or glass heating elements, and they could introduce impurities to vapor. Best Dry Herb vaporizer on Amazon? We see a large number of people are searching for queries like “herbal vaporizer on Amazon” or “dry herb vaporizer Amazon”. Some of you enthusiasts may have even landed here by typing something similar into Google. With so many of the best vapes out there, leaves Amazon in the dust, since they are just not all available on Amazon. And you are in luck, we offer fast discreet packaging and free shipping, with customer support to help you find the best device for your needs and budget, we have the largest selection of vapes available in the market. Plus we offer 100% authenticity guarantee. By Amal Franklin - As somebody who's been using a dry flower vaporizer for a long time, I can say these tips are great without a doubt. In my experience, it doesn't matter if you're using one of the best or a cheap vaporizer for dry herbs, if you don't grind up your herbal material really well it just won't work right. I usually grind all of my stuff using a four-part grinder that I got from this site and have been happy with it. After I grind, I put the herbs between paper towels and let it sit overnight. Perfect vapor every time! By Xander Q. - Thanks for the drying tip, I didn't know it was that simple… I'm just learning the ropes, so I had a lot of problems using my herb vaporizer, but I never thought of trying this. You’ve got a fan for life! By Robert Smith - I didn't know how much better herbal vaporizers were and all their benefits. But this was a great educational material. I was especially surprised that it helped with the smell; I didn't know there was anything you could do about that. I think I might just get an herb vaporizer as a gift for my neighbors, they will sure love it. By Theresa B. - I own the Firefly 2, Pax 2, and Grenco Science G Pen Elite and like different things about each of them. I like my G Pen Elite because it's small and it really looks cool. I take it with me if I'm going to be out all day. I like the Firefly 2 to use at home when I'm relaxing. I think it gives the best vapor. My Pax 2 herb vaporizer is one I use for longer trips because it holds more than the G Pen Elite and is a very stylish addition to my other accessories. By Jeffery Hogan - All of this information makes for a great "guide"; to buying a vaporizer for dry herbs. I didn't know much about herb vaporizers, so this was useful in getting some help and guidance in what to know before making my purchase. As always, great content, and thanks!